hd00:28Golden python is moving slowly on the branches. 4k00:13Oriental whip Snake (Ahaetulla) on the tree, Thailand. hd00:25Male Fleischmann's Glass Frog (Hyalinobatrachium fleischmanni) calling from the underside of a leaf overhanging a rainforest stream. In north-west Ecuador. With audio. 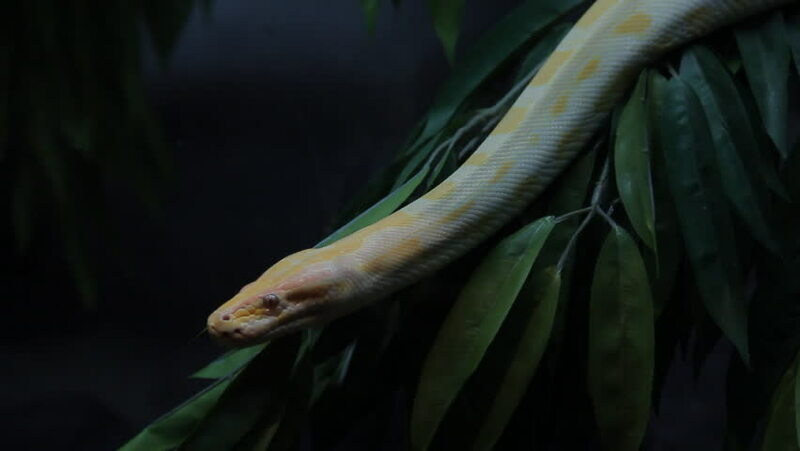 hd00:10Golden python is moving slowly on the branches.